secondary to marked immunological activation during viral, bacterial and parasitic infections, malignancies, rheumatologic conditions or immune deficiencies with cytotoxic T and/or NK-cell dysfunction . Although FHLH is an autosomal recessive disease that affect immune regulation, sporadic cases with no obvious family inheritance occur. All organ systems might be affected in HLH. Eventually multiple organ dysfunction syndrome (MODS) develops and death occurs. 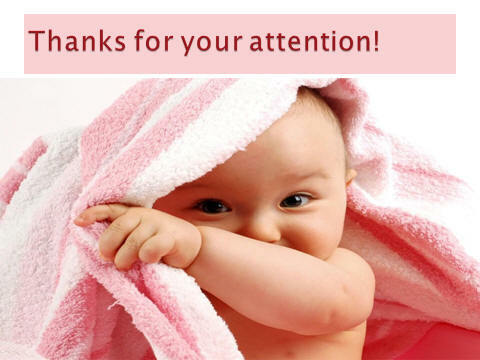 5- TG: 794 mg/dl (normal range <110 mg/dl), fibrinogen was less than 2 g/dl (normal range: 2.5-4 g/dl). 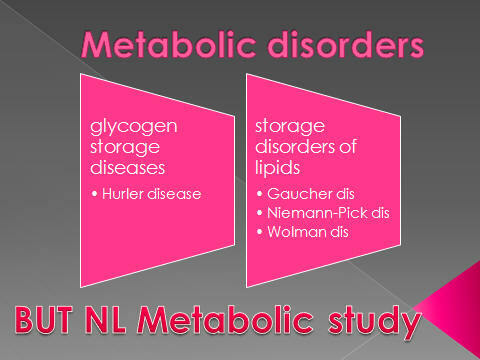 Some metabolic diseases like lysinuric protein intolerance 1,9 have a similar clinical presentation with HLH . Therefore we checked our patient metabolic profile including serum levels of lactate, ammonia, pyruvate also chromatography of amino acid and sugar in blood and urine. All the results were normal so metabolic disorder was ruled out . 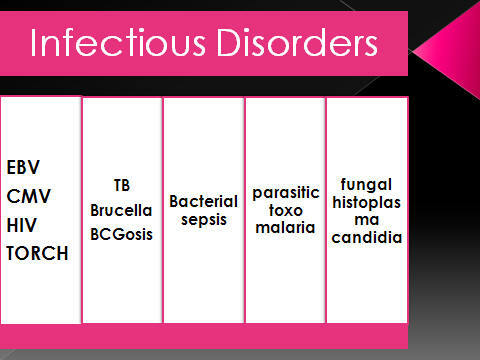 Because of worsening of clinical condition in our patient and her sibling after BCG injection, another differential diagnosis was immune deficiency syndromes . we performed bone marrow flow cytometry immunophenotype analysis. The results were not specific and did not support this diagnosis. Considering some reports of association between tuberculosis and final diagnosis of secondary HLH , PCR and culture of CSF, liver biopsy, BM aspiration and ascitis fluid were performed. No evidences of TB were found. 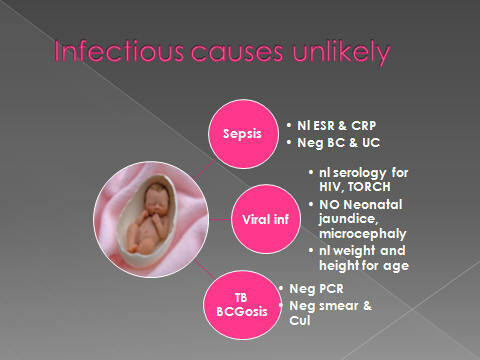 The clinical findings in children with infection associated HLH are similar to those in FHLH . The most common agent causing this syndrome is viruses, predominantly the herpes group viruses including EBV, HSV, and CMV . A search for these etiologic agents were performed in our patient .She was found to be negative for EBV, HIV, CMV and rubella virus. A distinctive diagnosis of FHLH can be made if there are genetic defects involving the perforin gene on chromosome 9q21.3 locus (FHLH type 1 ),10q 21-22mutations (FHLH type 2). Perforin acts by perforatings the cytolytic target cell membrane in turn initiate the apoptotic cell death pathway 1,9. The other genetic defects are inactivating the MUNC 13-4 gene which is essential for cytolytic granule fusion at chromosome 17q 25 (FHLH type 3) and mutations in syntaxin 11 gene which is located on chromosome 6q24. 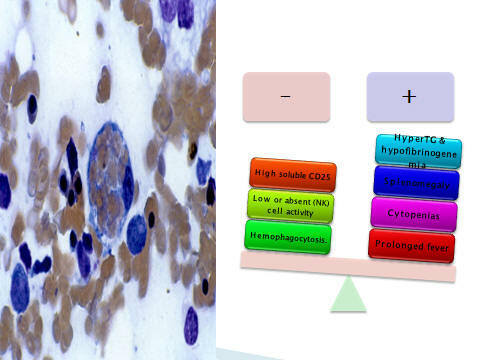 Hemophagocytosis might be found in the first bone marrow aspiration of a FHLH patient but the absence of it will not rule out the diagnosis. 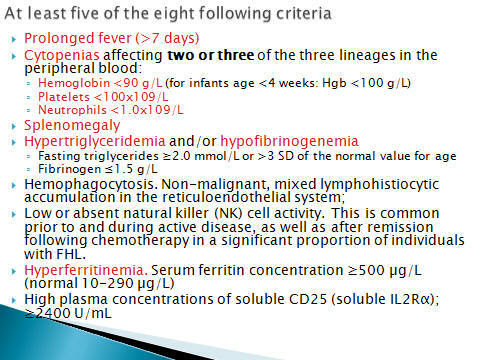 In previous literature some cases of FHLH without hemophagocytosis has been reported. 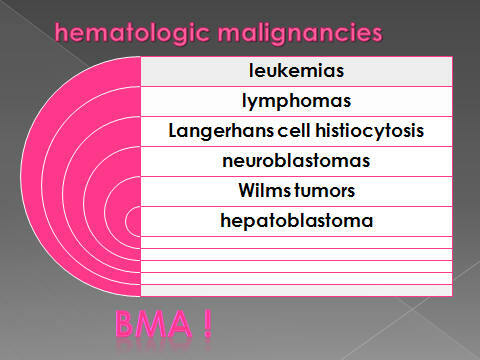 In our case, the bone marrow aspiration was performed two times and liver biopsy one time that did not revealed any site of hemophagocytosis. l52 d/o girl with fever & poor feeding since 1week prior to admission. lAbdomen: distended, spleen can be palpated in umbilical area, liver span=8cm. hepatomegaly (98mm), splenomegaly (99mm),free fluid in abdomen, Pleural effusion in Rt. hemithorax without LAP. 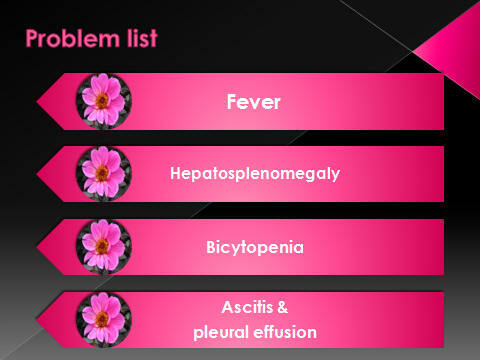 lCMV, HSV, EBV, HCV, HIV : neg. -nonspecific, such as FTT, chronic or recurrent diarrhea, interstitial pneumonia, or oral thrush, and may be distinguishable only by their persistence. lInfants born to HIV-infected mothers should be prescribed zidovudine (ZDV) prophylaxis. lFHLH also is characterized by severe immunodeficiency. lChildren with FHLH always are <4 yr of age, whereas children with secondary HLH may present at an older age. 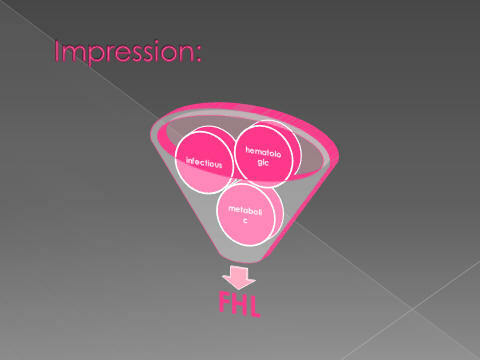 lEven with chemotherapy, FHLH remains ultimately fatal, often after a relapse of the disease.